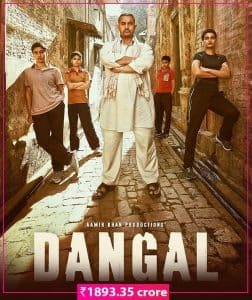 Aamir Khan’s biographical sports drama Dangal which turned out to be the highest Bollywood grosser with the nett collections of Rs 387.39 crore also spread its magic in the international circuits. The film grossed over Rs 1357 crore out of which maximum business was contributed by China. Dangal currently stands with the global total of staggering Rs 1893.35 crore. SS Rajamouli’s larger than life action war drama was easily the most trending film of last year. Apart from shattering several box office records, the Hindi dubbed version of the film inaugurated the Rs 500 crore club at the domestic market. The film also performed extremely well in the overseas markets, specifically in North America. It collected Rs 1714 crore in its theatrical run globally. 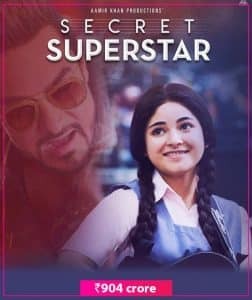 Aamir Khan and Zaira Wasim-starrer Secret Superstar which performed decently well in India, surprised everyone with its mind-boggling business in China, where it grossed over Rs 800 crore. The emotional drama currently stands with the total business of Rs 904 crore at the worldwide box office. After delivering mega blockbuster 3 Idiots, the deadly combination of actor Aamir Khan and director Rajkumar Hirani came together for PK. The social satire turned out to be an even bigger hit not only in India but in many international markets. The global collection of PK now stands at the grand total of Rs 831.50 crore. 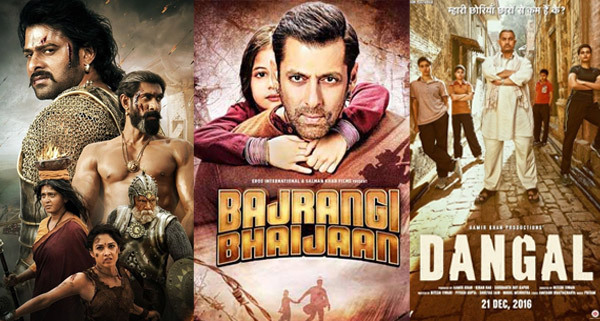 Salman Khan’s 2015 blockbuster Bajrangi Bhaijaan made it to the list of top 5 global grossers, thanks to its phenomenal run at the Chinese box office. The cross-border social drama has crossed the Rs 800 crore mark and is soon expected to beat PK to grab the fourth position in the list.